Continue reading"The Pique Assiette House, Chartres"
Continue reading"How to make mosaics: the tile adhesive method"
Continue reading"The untold story of the ancient world’s lost mosaics"
Continue reading"Intuitive Andamento by Rachel Sager (a review)"
Continue reading"Mosaics in Chicago: exploring the city"
It’s time to celebrate walls! Here’s why. 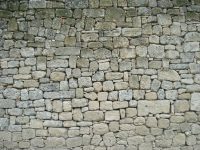 Continue reading"It’s time to celebrate walls! Here’s why."